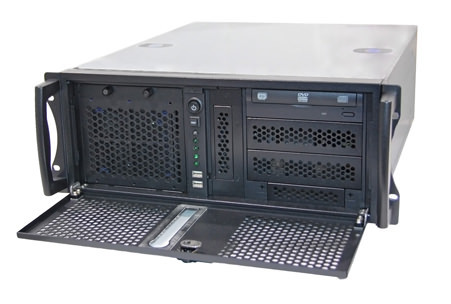 Ideal for shallow racks found in vehicles or wall mount applications, this 2U Server compact system packs a lot of power into a very small area. Only 14.1″ deep, this 2U sized rackmount enclosure can hold a full size optical drive, and either (3) 3.5″ drives, or (6) 2.5″ drives. Now you can easily setup full RAID 1 + RAID 10 arrays for full OS and file storage redundancy with no additional hardware, all in an ultra-compact housing. The QM77IX motherboard also supports dual video outputs driving multiple displays simultaneously, as well as dual gigabit Ethernet ports, providing a level of versatility rarely found in such compact systems. For processing power, choose between the powerful i7, i5, i3.